WJXT-TV, an independent station serving Jacksonville, Fla., has debuted a new set, reports Florida News Center, and, while it has some nice potential, the overall look is a bit bland. 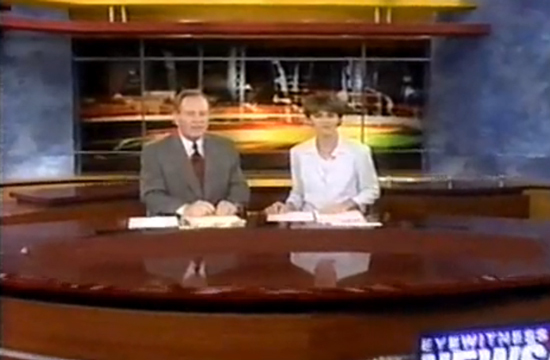 The new set appears to be a refresh of the station’s old set, seen below in this screen capture from a 1999 newscast. 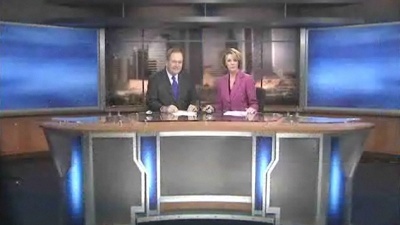 While structurally sound, the new set lacks punch. Most of the color and impact comes from the blue duras found camera left and camera right. While these backgrounds are simple and perhaps not quite as active as some might prefer, they’re still a nice neutral background that works well. However, situated between them is a very muddy cityscape background. The anchor desk, similar to that seen at WPBF-TV in West Palm Beach, also benefits from a splash of color by way of bold blue columns, but the dull, frosted plexiglass again leaves us wanting just a bit more detail. 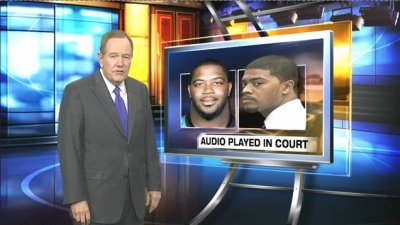 The station is also using a virtual set similar to the one found at its sister station, WPLG-TV in Miami, as shown below. Ironically, WPLG-TV has one of the most colorful sets we’ve seen in a while, while WJXT-TV seems have taken its design in the complete opposite direction.